Part three of a series on how to build your own computer from scratch, based around the Z80 CPU. 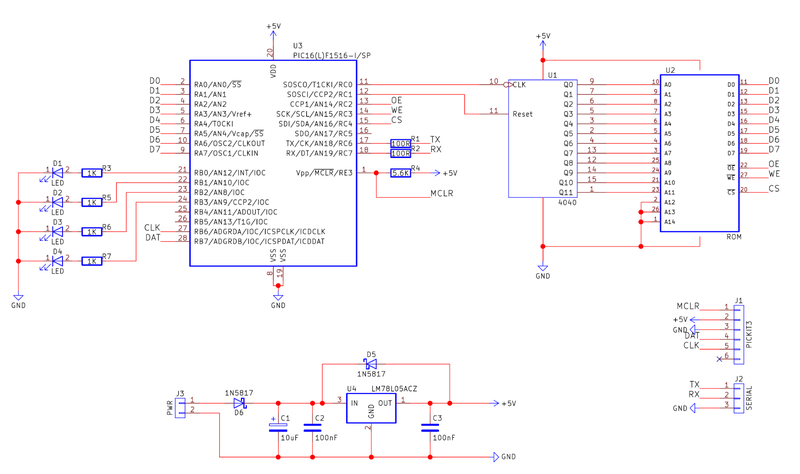 The load BIN file button opens an open file dialogue that allows us to load our Z80 program (made using tniASM). 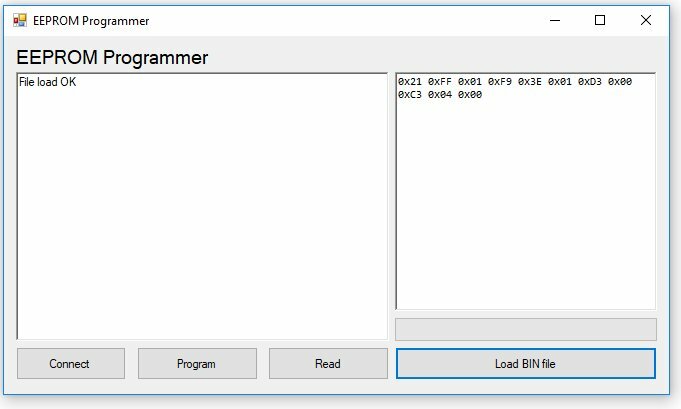 Once loaded, the program streams the binary data into a byte array, then displays the contents of the file to the binary view rich edit box (large right window). However, we can't directly stream the byte data to the rich edit box, since the byte data is not in a human-readable format, and therefore we have to convert the data to ASCII. 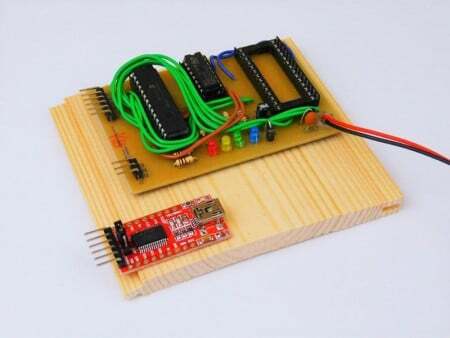 This is done by splitting the byte into two nibbles and adding offsets to convert them to characters such as 0 and F.
Since this project also needs an FTDI to transfer data between the circuit and the computer, a project box would be ideal. 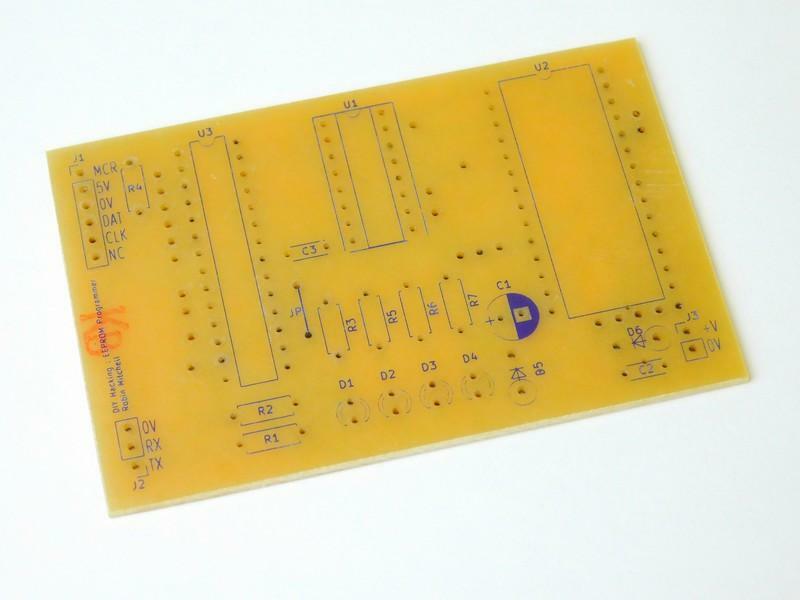 However, for the sake of demonstration, the circuit has been mounted on a single piece of wood. 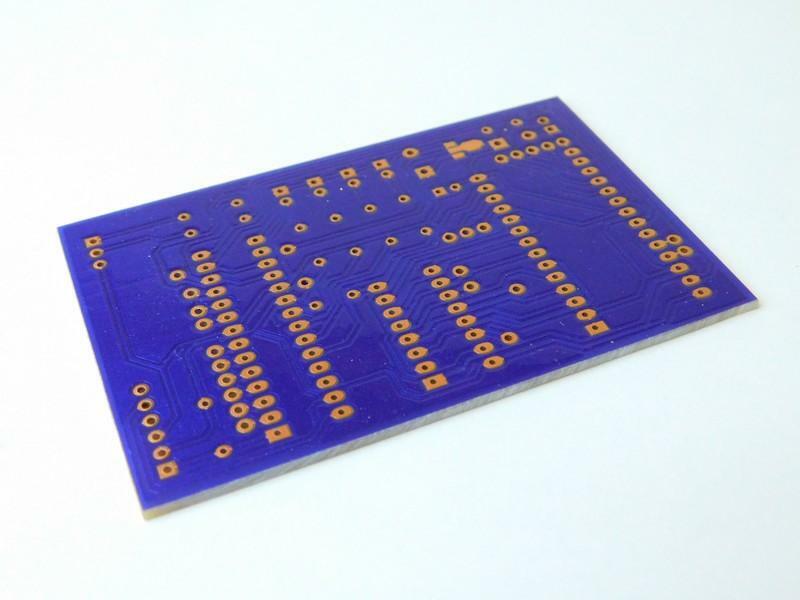 The EEPROM IC holder is a 28 DIP socket, which is sufficient for prototyping, but if you're going to use this programmer frequently, you'll want to use a zero insertion force (ZIF) socket. I used a standard socket, since I don't have any ZIF sockets, and I have another programmer for programming EEPROMs. It is not entirely ideal, though, because it needs a parallel port, and these are now rather rare.